I've got a Goodreads Giveaway going now through December 14th. 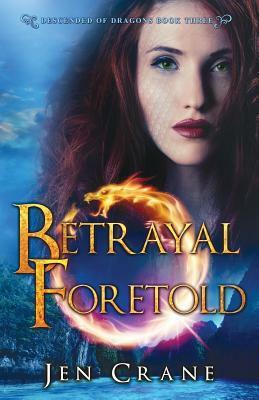 Follow the link below to enter to win a signed copy of Book 3 in the Descended of Dragons series, Betrayal Foretold. Good luck! And if you'd like signed books of your own, or as gifts this holiday, I'm more than happy to sign and send paperback copies to anyone who'd like them. To request a signed copy, please send $13.75 per book via PayPal to authorjencrane@gmail.com. 3) to whom the dedication should be made.